APM NY is more than a model agency. We are leading influencers and opinion formers at the heart of the industry, having the insight to inspire through our diversity and mindfulness. Their strength comes from our passion, experience, work ethic, talent of our people and our collective principles and values. They see ideas, new ways and spark emotional reactions. We capture the magic of the moment and bring client ideas to life in the marketplace. DNA Model Management is a modeling agency in New York City, established in 1996 by Jerome and David Bonnouvrier, and is one of the top-three agencies in the world. DNA represents numerous notable models in the industry, including: Linda Evangelista, Alessandra Ambrosio, Natalia Vodianova, Amber Valletta, Saskia de Brauw, Doutzen Kroes, Nadja Auermann, Shalom Harlow, Edie Campbell, and Raquel Zimmermann. Elite Model Management is the world's most prestigious modeling network. Founded in 1972, Elite represents more than 2000 models across five continents and offers complete international coverage thanks to a network of more than 30 agencies. Elite is not just a modeling management and scouting network, it is a strong global brand with a world-class licensing program. With 5 offices in New York, Los Angeles, Miami, Chicago Atlanta and Toronto Elite is a high fashion agency that represents women and men. Ford Models was started in 1946 by Eileen and Gerard W. "Jerry" Ford. Ford was the first company to advance their models' money-owed by jobs that had been completed but not yet paid. The Ford family had the tradition of allowing teenage models who originate far from New York City to stay in their home. In recent years, the company has diversified through Ford Artists to represent talent in the hair, makeup and wardrobe industries. Fusion Model Management, a boutique agency, has grown from a small group of models into one of the industry’s most important agencies. Fusion’s keen eye for new models has turned many unknowns into top models working for major clients including Dior, Chanel, Dolce & Gabbana, Yves Saint Laurent, and Jil Sander. Heroes New York opened in September 2015 in the heart of Soho. Born from a desire to bring back the talent to the forefront of Fashion, Heroes has already firmly established itself as one of the world’s leading independent agencies.Embracing the various strengths of the models we represent, we have focused our management on establishing New Faces, as well as elevating the careers of our more established models. IMG Models is the international leader in talent discovery and model management, widely recognized for its diverse client roster. Legendary sports agent Mark McCormack founded IMG Models as a new division of the hugely successful IMG Worldwide. He believed models could be managed as talent in the same vein as professional athletes, actors, and other entertainers, and that their popularity could be leveraged into strong personal brands beyond the magazine page or runway. With the goal to prepare next generation to become top models, actors, performers, and musicians, our member schools offer students fun, loving, supportive and challenging environments to acquire the skills and knowledge for success in modeling, acting, music, and the performing arts. Our Association is comprised of professionals with a passion for inspiring the next generation. We provide international and world-class opportunities to our talents. JAG Models was founded in 2013, and like most creative endeavors, was born out of necessity. Co-founders Jaclyn Sarka and Gary Dakin recognized a need for an agency to celebrate and represent the diversity of beauty, regardless of a woman’s size. In January 2014, they brought fellow Ford alum Adam Hughes on for his expertise in imagery and eye for detail. JAG maintains a boutique feel reinforced by the experience of seasoned veterans in the industry. The Lions Brand is a boutique agency that combines talent management and sophisticated strategy to develop a notable presence of each talent in the marketplace. We strive to push boundaries and disrupt the generic approach. We elevate the importance of individuality to create an enduring path to success and empower our talent to build their own authentic brands. Founded in 1999 and under the leadership of President Guido Dolci , Major Models New York has grown to be among the most prestigious boutique agencies in the world. 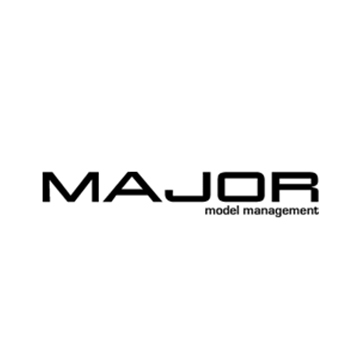 Major's philosophy is to offer its models a solid plan of management. From development to placement in the worldwide market and aggressive promotion to a broad client base, the models are ensured personal attention not found in the larger agencies. Established in 1985 in Paris, Marilyn Agency has developed into one of the most prestigious modeling agencies in the world, expanding in New York in 1997. Since inception, Marilyn Agency has remained true to its core values: on the cutting edge of fashion trends, upholding the utmost ethical standards, and tending to all the needs of its talents and clients. The career of each Marilyn talent is carefully tailored, with ample time dedicated to the development of every individual. Visionary, chic, ethical, audacious – these are the diverse words that describe mode models, a perennial name in the world of fashion. Mode models is an international modeling agency that discovers, promotes and represents talent at the highest levels of the industry. Local offices in Calgary and Edmonton actively recruit models by employing professional scouts, hosting model searches and producing high profile shows and events in their markets. The training concept of JMK Modeling Education school is to promote the most appropriate education and training for the children at the best time; teachers and parents give the children a good teaching and also improve their self-cultivation and use their own practical actions to do the children. Good role model, parent-child fellows; use your heart, use love, and use your actions to educate your child for a lifetime! MP Management, established in 2008, is a fast-growing and dynamic independent modeling agency based in Milan, representing a selected group of high-level models, celebrities and talents, as well as some of the most promising new faces in the fashion business. MP Management has strengthened its expertise in the field of model and celebrity management as well as its global presence through the acquisition of Mega Model Management. Founded in 2007, Muse Management is built on the principle of providing truly personal management and service. As an independent, boutique agency, we have the ability to focus on the top tier of talent worldwide, managing each models career to the fullest- editorially, commercially and theatrically. With a diversity of talent representing the global reach of the fashion industry, Muse Management offer strategy and guidance to each and every one of our models. Established in New York in 1989, Next Model Management quickly expanded into key markets: London, Paris, Milan, Los Angeles, and Miami. With supermodels such as Arizona Muse, Kate Upton, Anais Mali, Marloes Horst, Binx, Anna Cleveland and Lineisy Montero as a part of its roster, Next oversees the successful careers of the most internationally recognizable faces. For the last 15 years NOMAD MGMT has been recognized as one of the most respected personal model management companies in the world. In 2016, with the expansion of additional owners and managers, NOMAD became a full-fledged global booking agency, bringing together decades of experience from both the talent and management sides of the fashion industry. Opened in 1995, New York Model Management is a dynamic modeling agency committed to promoting top talent and exciting new faces to the fashion industry. New York Model Management is sister agency to LA Models, the most established and largest full-service agencies on the United States’ West Coast, and LA Talent, the foremost television and commercial agency in Hollywood. 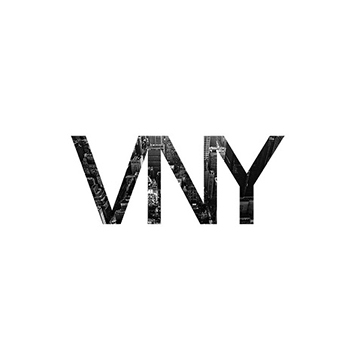 Founded in New York in 2001, One Management’s focus is to link fashion with the creative elements of music, film and celebrity. One’s celebrity division continues to successfully bridge the gap between fashion, music and film representing ground breaking and hugely successful international artists such as A$AP Rocky, Banks, Courtney Love, Gucci Mane, Steve Aoki and Norman Reedus. Silent Models NY provides a highly personalized approach to developing and managing talent. The agency sets itself apart from its peers by remaining small and promoting its models through select fashion shows, editorial publications and advertising campaigns. Silent’s models work with many of the fashion industry's most influential photographers, casting directors, stylists, magazines and fashion houses. Established in 2013, The Society Management serves as the New York division of the prestigious Elite World network and continues a global legacy of more than four decades within the fashion industry. We consider each represented individual through understanding purposes and needs within a unique journey. Founded in 2015, STATE Artist Management offers a modern alternative to a rapidly evolving industry. With a progressive approach to scouting, a holistic approach to development, and a personalized approach to management, STATE guides the successful careers of established models and launches the careers of the industry’s top, emerging new faces. Established by Lana Winters in 2001, Lana and her partner Damian Tomczak, have created a perfect nesting ground for building and managing the world’s top supermodels. The agency has an unrivaled reputation and track record for crafting unknown models into household names. Wilhelmina Models is one of the most prominent talent management agencies in the world. Since its founding in 1967 by Dutch supermodel Wilhelmina Cooper, Wilhelmina Models has earned its prestigious standing as an industry leader by providing full-spectrum model management for women, men, curve, fitness, and children models, as well as entertainers and musicians. Women Management was founded in New York in 1988. The vision was an agency that would encompass all types of beauty, not the traditional model that dominated the international fashion scene. 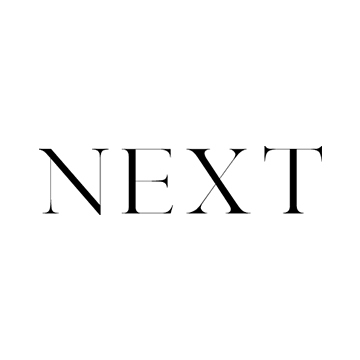 What sprang from this vision was an agency which commands the respect and attention of the most powerful designers, photographers, and magazines and represents some of most famous talent in the world. Find your way to the runway by joining our community. Thank you! We will get in touch with you about our upcoming events.